This Thick Sleeveless Korean Style Denim Apron suitable for hair cutting, barbershop, kicthen chef, coffee service or gardener. The denim jeans apron with thick sleeveless and look like Korean style & fashion, enjoy the time during the cutting process. 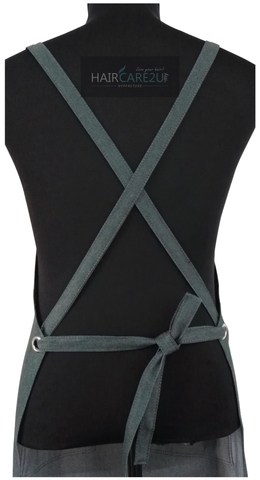 This apron length to the knee, the length is moderate, walking freely, easy to work.